Speaking of Easter, be sure to check out all our egg-cellent Easter projects and recipes, or shop for all your Easter must-haves! Strawberries and blueberries and raspberries, oh my! 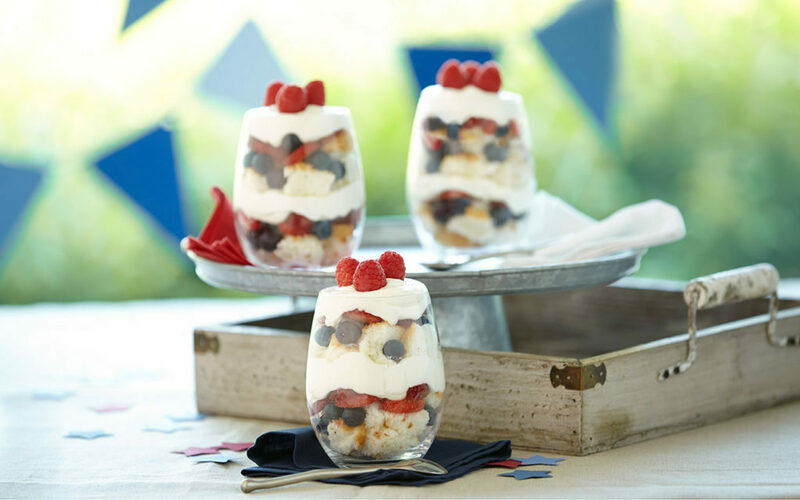 Layers of fruit, angel food cake and whipped icing combine to create a delicious dessert that’s just as easy to make as it is fun to eat. Assemble and serve this dessert in small glasses for a quick grab-and-go sweet. 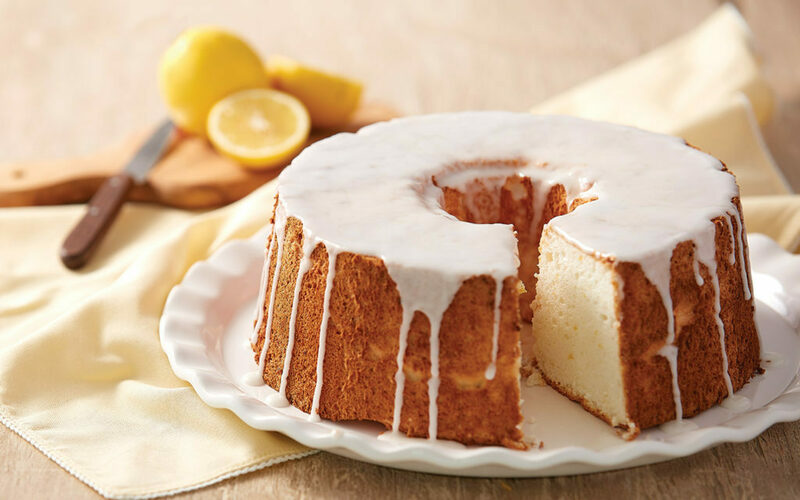 Enjoy the flavors of spring with this lemon angel food cake. Perfect for Easter brunch or a spring bridal shower, this light and airy dessert is topped with a zesty lemon glaze that helps accent the delicious flavor of this cake. Add a few fresh berries for a pop of color. Looking for a light and stress-free dessert for your summer soiree? 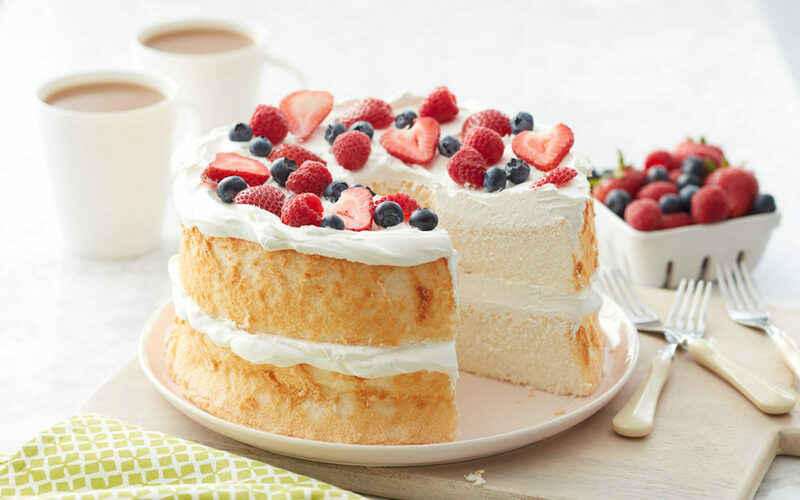 This angel food cake recipe is a guaranteed crowd-pleaser. Top your cake with a luscious homemade whipped cream frosting and some fresh berries for a sweet taste of summer any time of year. This light and airy angel food cupcake recipe is perfect for Mother’s Day or summer BBQ’s. 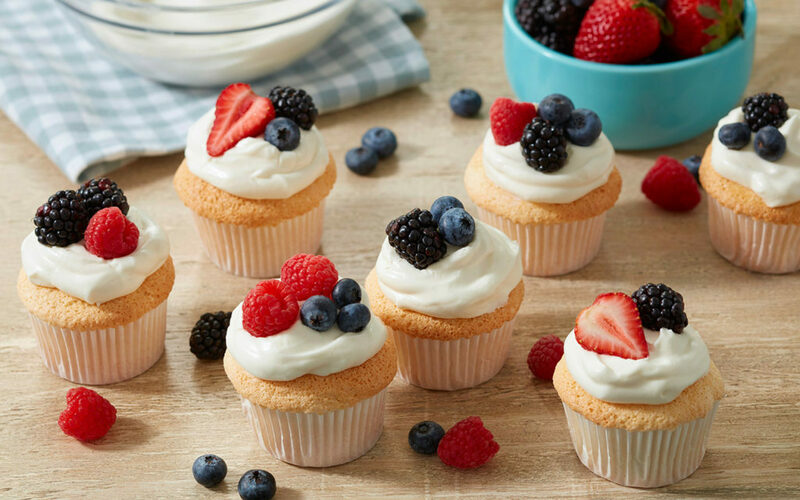 Topped with fresh whipped cream and berries, these delicate cupcakes offer a little something sweet without the guilt! These mini angel food cakes are ready to party! 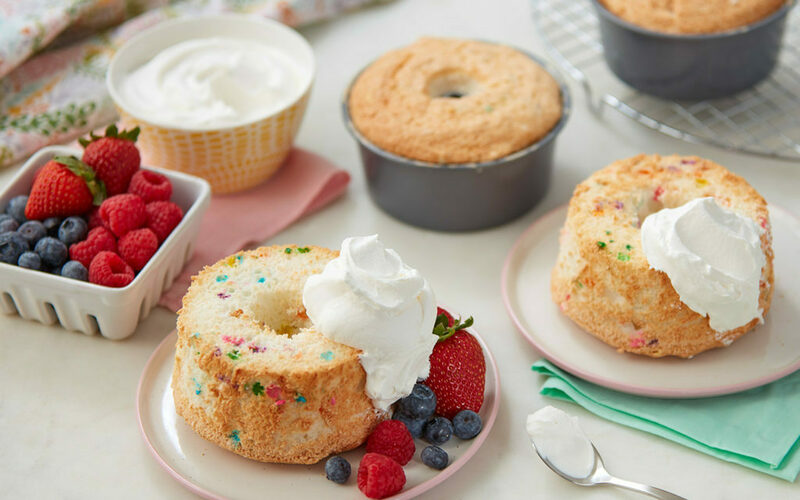 Baked in small single-serve angel food cake pans, these mini cakes are great for a small brunch with family and friends. Throw some sprinkles into your cake batter for a colorful confetti cake your guests will love! We want to see your heavenly angel food cakes! Take a picture and tag us @WiltonCakes on Instagram!